We bought another home located in St. Clair Shores. The owner of this house moved into an assisted living facility. 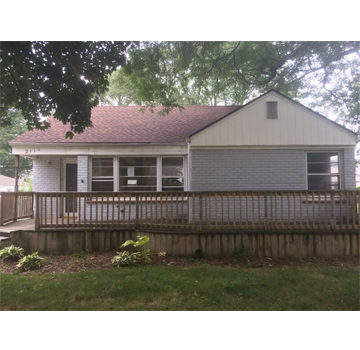 Thus, she no longer needed her St. Clair Shores home and wanted to sell it fast to avoid the expenses of the mortgage, repairs, and realtor commissions. She was facing trouble with selling her house, and even her real estate agents were no help. When she contacted us, we explained the process we follow when buying houses. She was convinced and chose us as her real estate cash buyers in St. Clair Shores. We bought the house, closing the deal within 2 weeks. Also, we bought the house in AS-IS condition, plus, paid her mortgage and all closing costs. She was very happy and content after selling her house to Detroit Cash For Homes, and the peace of mind she received after the sale was invaluable. We understand it is emotionally and physically draining for senior citizens to sell their house, so we make this process completely hassle-free for them. If you are in this situation and want to sell your house fast in St. Clair Shores,contact us. We don’t charge any commissions and pay in all cash!